One of the most difficult struggles for homeowners is interior paint color selection. The colors in your home can effect your mood, productivity, and sense of well-being. Beyond your own preferences, it’s important to work with a professional that understands how important it is to use colors that complement any existing finishes like stone, tile, and flooring. The Decorologist specializes in interior paint color selection that will make your home look and feel cohesive, on-trend, and completely YOU. She will develop a custom color palette that will create a sense of flow and personality that you’ve always wanted. With the right backdrop of paint colors, you will be able to integrate what you love and value into a cohesive look for the most important place in the world – your home. Kristie is currently booked out and not taking new clients in the fall of 2018. Interior Color Palette – $400 flat fee for first 2 hours, $125 for additional hour. In most cases, Kristie is able to choose colors and advise on all finishes for 4-6 spaces in the first 2 hours. 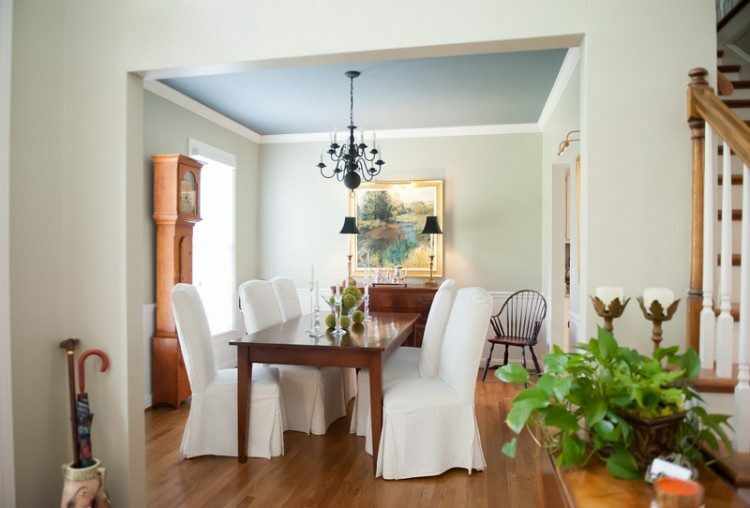 Homes needing interior paint color selection for 7+ spaces may require an additional hour or two. Exterior Color Palette – $550 flat fee for exterior colors and advice for all exterior elements (roof, stone, brick, etc. ).